In first week of the Food Culture course, we look deeper into what a food taboo is. There are many theories on the reasons for taboos and how taboos come into existence. But a sampling of 78 studies from cultures all over the world found that the big majority of food taboos is related to meat and thus to animals (Fessler and Navarette 2003). These authors conclude that in our evolutionary pan-human psychology there is an inherent ambivalence towards meat. It is the most prized food for its superior taste and nutrition but not after killing an animal, a spirited creature as many cultures believe. Meat consumption from current acceptable livestock is under increased moral constraint for its unsustainable effects on the global environment. One of the alternatives could be insect farming as Science reported on April 30th 2010. At Wageningen University lots of research is done by food technology and entomology groups to further the possibilities to use insects as a source of protein. However, in Western cultures insects are not regarded edible. They are unconsciously tabooed just like almost all other animals are unconsciously tabooed. We eat a very small range of animals compared to the immense possibilities. This is different from an explicit food taboo where rules and rituals have to guard, that what could be eaten, should not be eaten. Which is the case for example around the pork avoidances by Jews and Muslims. At the moment students of the course are doing fieldwork out in the streets of Wageningen with a self-prepared questionnaire on the eating of insects. They will collect data about people’s reaction towards the eating of insects or the use of insect protein as substitute in for example sausages. Tomorrow we will analyse the results together. Are there signs of disgust by the idea of eating insects? Then this may be an indication of a taboo as we read in the literature. It may also be a less fundamental matter of neophobia; the fear of new food. The students themselves showed openness towards eating insects. 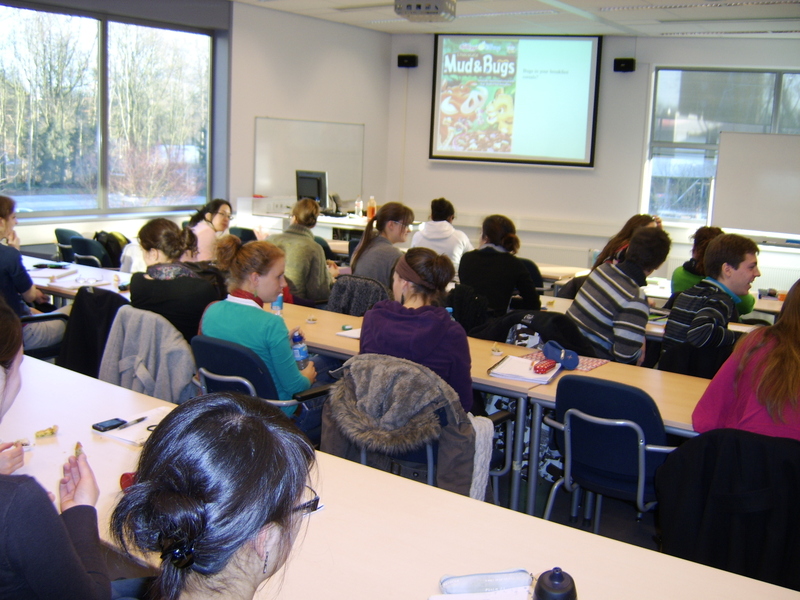 In the break of the guest lecture of Sarah van Broekhoven from the Entomology group almost all students tried the snacks prepared by Henk van Gurp from Vakschool Wageningen. 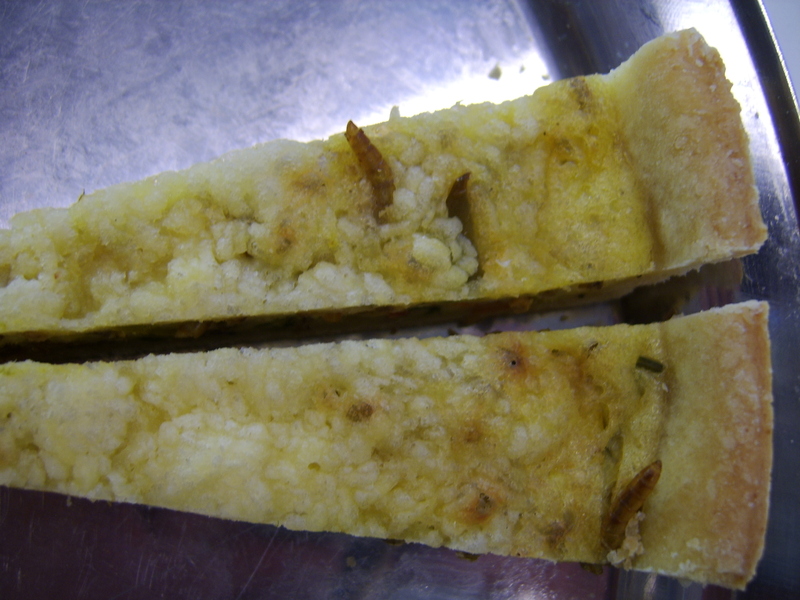 The worms were visible in the Quiche and baklava but that did not withhold students from trying. And indeed, as I discovered myself, the snacks were really tasty. This entry was posted in Food by Petra Derkzen. Bookmark the permalink.